Compare Versions: What’s New in the CC 2019 Release vs. CS6? What’s the Difference Between CC for Teams vs. Individuals? What’s the Difference Between CS6 vs. CS5 vs. CS4 vs. CS3? Photoshop vs. Lightroom vs. Elements – What’s the Difference? The Differences Between Lightroom 6 vs. CC – Which to Buy? Adobe Acrobat DC Is Here: What’s New and What’s It All About? What Are the Limitations of Student & Teacher Editions? How Many Computers Can You Install and Run Your Adobe Programs On? Get 132 Hours of Free Training & Tutorials from Adobe MAX 2018 – Free Access! It’s been a great (nearly) ten years so far, and we’re looking forward to an even better 2019 – Happy New Year! I was quite excited about the promo discount of $500 off ADOBE MAX, and the offer for free flights with credit card. Very sorry about that Sue – we weren’t aware! can You please offer the latest Updates of the CC 2014 Apps, from 04.04.2018, on your download page, because the Updates via the Update function of the Creative Cloud Manager do not work / fail! because of Camera Raw Update 10.3! 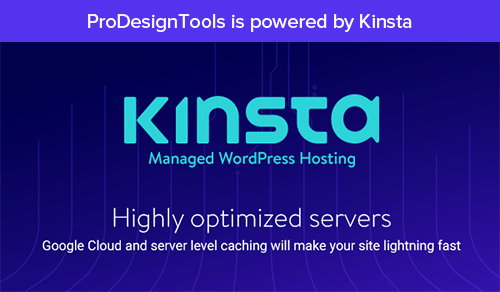 You don’t have permission to access “…/AdobeProducts/FWKS/12/win32/Fireworks_12_LS16.exe?” on this server. Where is the link to make an account to log in? You don’t necessarily need to log in – you just need to follow these instructions first, before clicking on the download links (required by Adobe’s servers). Hi, I purchased Photoshop CS5 Extended version 12.1 x32 from you in 2015. I downloaded it to my PC which has since been replaced after breaking. Now I need to download it to my new PC. How do I do that? Please help!! We have loaded the Adobe Photoshop CC 2015 Product on our standalone systems that don’t have any internet connection. We downloaded the Updates from your site here. but every time we try to run any of them, it seems to want to run an Online update. Is there any way to update the software without being online. These are for Government computers on a classified network, so having Internet is not a possibility. Please advise. Hi Miguel, here’s the answer to your question, which was recently asked by another commenter as well. I just bought a new Mac Mini. The only software I physically have anymore is the upgrade for CS5. I had upgraded from CS2 (which was purchased back in college) and I have no idea where those disc(s) are since it’s been over 10 years and countless moves ago. Is there any way I can install the CS5 upgrade without having a previous version of CS since this is on a new computer? Unfortunately not. Any Adobe CS upgrade version also requires the serial number from the previous release that you’re upgrading from. Together the two form the complete upgrade picture. One idea: you could try checking your online Adobe account to see if your product serial numbers were captured or registered there. It may be worth a shot. However, if you just bought a new Mac, then you may be out of luck anyway… We’ve heard of plenty of difficulties trying to install & run old CS releases on modern operating systems, especially macOS. The newer OS versions of course didn’t exist eight years ago, and the old Creative Suite software was not written for them, nor is officially supported on them. Wish we had better news, but best of luck with it! I am an educator that teaches Art I and Art & Media communications courses. I want to become more proficient in Adobe to become a more effective educator for my students. 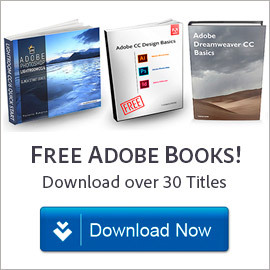 In the past I have signed up for courses on the Adobe Exchange website but simply could not complete the courses because I do not have a copy at home; and can not afford the Master Suite on my work computer. I need assistance with Educator options to get the best bang for my buck. I look forward to hearing from you. Adobe offers an education discount that applies for both students and teachers… You can pick up an annual Creative Cloud subscription at 60% off the regular prices for your first year, and then 40% off after that, so long as you remain a teacher. See this post for more about Adobe’s student/teacher discount, and how you can get it. I am trying to join creative cloud for free per your blog post here, but it is not working for me. Can you please tell me what I am doing wrong. I already have a student account and I have been paying on and off for the past 2 years. I have since graduated and my student e-mail is about to expire. I would like to continue using CC for free if possible. Please help. You can, however, get & use some of the Creative Cloud apps and services for free for life. 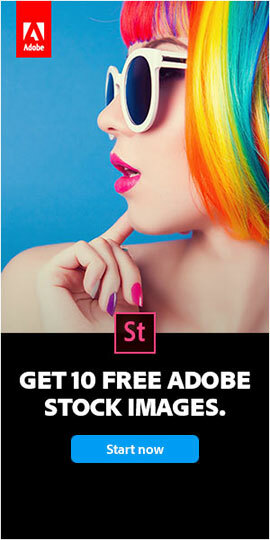 But don’t take it away to mean that you can have the full Photoshop for free. I am already subscribed to Adobe’s Photography Plan as part of Adobe Creative Cloud, with an Adobe ID, and I am also using Bridge, XD, etc. and Portfolio. 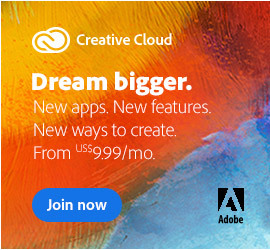 Do I still need to rejoin Adobe’s Creative Cloud to get access to the entire set of free features available from Adobe according to your article at: https://prodesigntools.com/how-to-join-creative-cloud-free.html ? Does Portfolio use come along with the free use of creative cloud? Your CC Photography Plan would already include everything offered at the free level of Creative Cloud, plus more that you’re paying for. 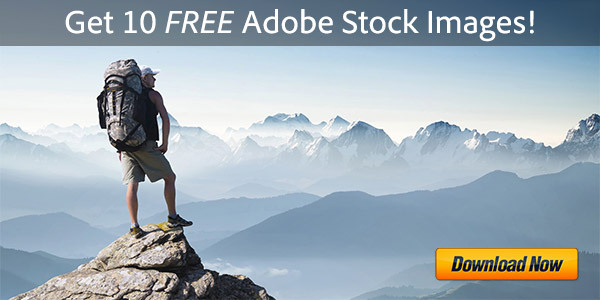 The free level does not include Adobe Portfolio. The Photography bundle that you currently have is the least-expensive plan that does include Portfolio. Hope that fully answers your question; if not, then just post back! Ihre Kündigung wurde verarbeitet. Ihr Dienst endet am 28-November-2018 (PT). Bleiben Sie weiterhin zu Creative Cloud-Angeboten auf dem Laufenden. Für die Zukunft wünschen wir Ihnen viel Erfolg. Dieser Dienst wurde über xxxx@yyyy verrechnet. Am 25. Dezember 2018 erfolgte eine weitere Abbuchung von 24,34 Euro von meinem Konto. Bereits am 20. Dezember 2018 wurden 35.99 Euro für die CC Software abgebucht. Ich erwarte eine Rückerstattung 24,35 Euro auf mein Konto. Dieser Dienst wird mit 35.99 Euro über xxxx@yyyy abgerechnet. Is it possible to buy older versions of Adobe Acrobat outright rather than going through the Adobe download? I am retired and do free graphic design for several small 501c3 organizations and my local yacht club. I object to paying over $500.00 per year to do free work for groups that don’t have the budget to hire it, and I don’t have the money to donate that amount! The only older and non-subscription version of Acrobat that Adobe still makes is Acrobat 2017, which has significant differences and fewer features than Acrobat DC 2019. Also, if you happen to need or use Adobe software for a non-profit or charitable organization, then you might want to look into TechSoup for discounts. Lastly, no version of Acrobat is ‘over $500.00 per year’… You can get a subscription to Acrobat DC for as little as US$12.99/month, with ongoing upgrades included. And with a subscription, if you no longer need the software or stop working with it on a regular basis, then you can let your plan run out and pay nothing thereafter. By contrast, the perpetual Acrobat 2017 version described above costs US$300-$450 upfront for a static copy. Hope that fully answers your questions; if not, then just post back! Sorry, I meant to say InDesign! Don’t Need Full Creative Cloud? Get Any Single CC App for $10-20/Mo. I deeply need an e-book as a free tutorial for Adobe XD CC. I signed up for the newsletter, and the link to download books took me to another page asking for me to sign up for the newsletter. I can’t find any books to download. Sorry Paula, we’ve never heard that before. Which book(s) in particular are you trying to download? There’s a different link given in the email for each of the free books. whats the difference between cc and cs6?